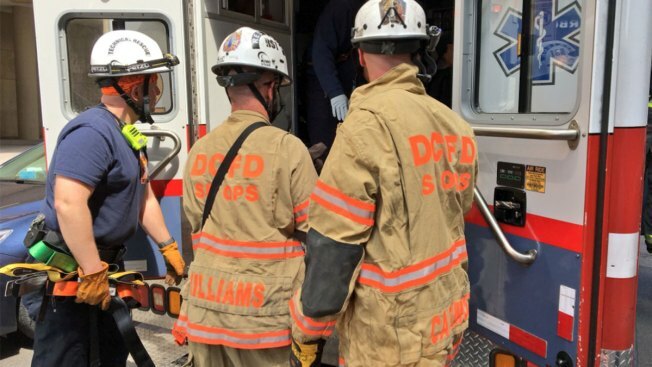 A man is critically injured after falling onto a track at the Farragut West Metro station Sunday afternoon, D.C. Fire & EMS officials said. D.C. Fire & EMS said on Twitter that the man was not struck by a train. He has been taken to a hospital. Blue, Orange and Silver line trains were briefly suspended and then single-tracked between Foggy Bottom and McPherson Square. Normal service resumed shortly before 2:45 p.m., but the transit agency told riders to expect residual delays. Metro requested shuttle buses to transport passengers.